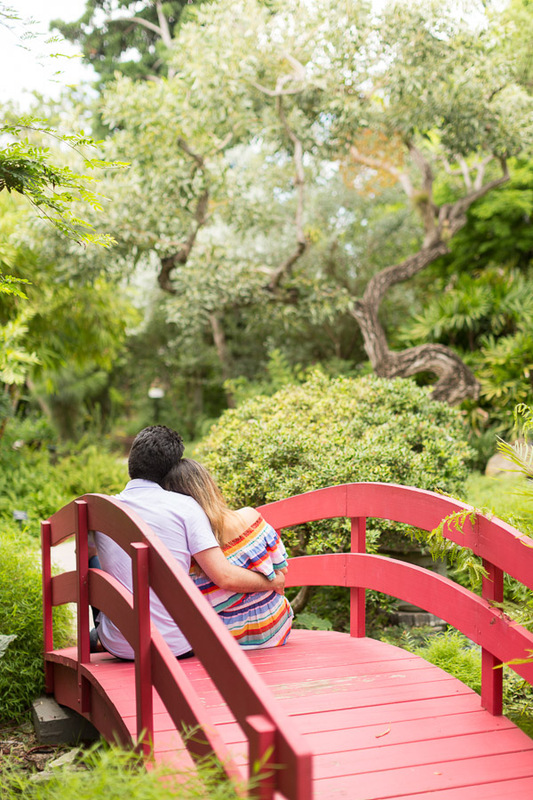 We spent a warm, balmy morning at one of my favorite spots, the Miami Beach Botanical Gardens. 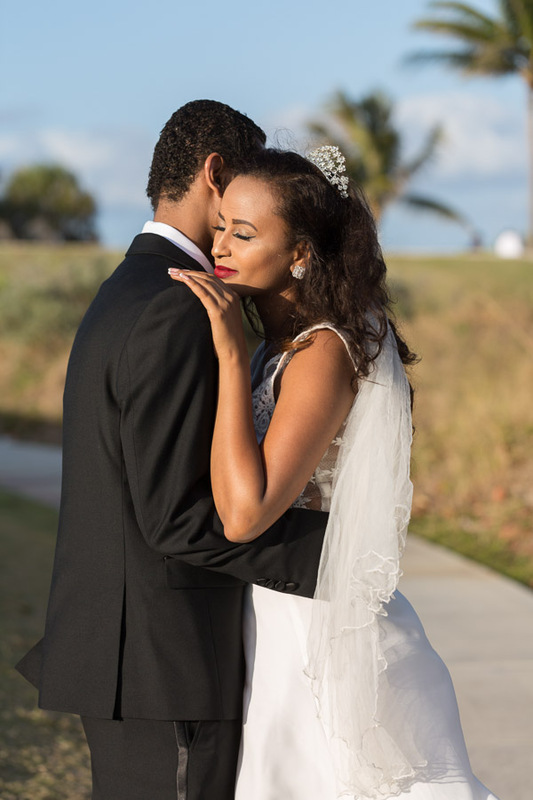 These two are so sweet together and I loved working with them. They did a quick outfit change mid-session for a different look. 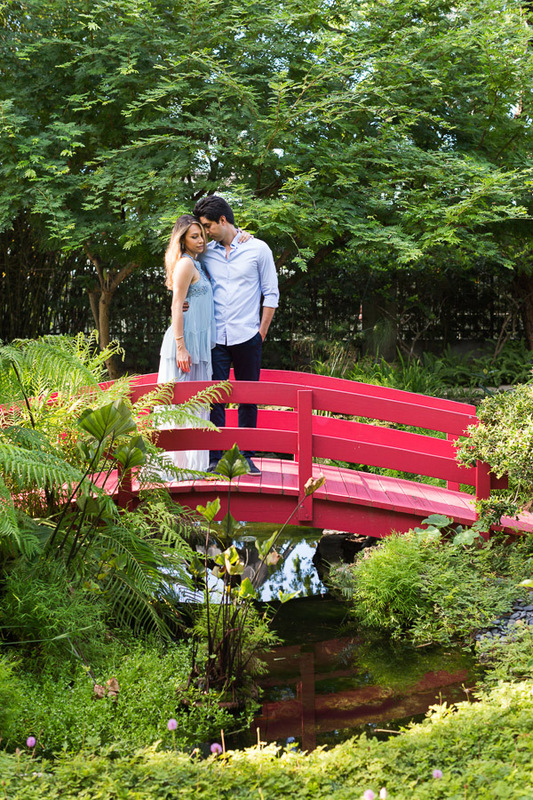 The gardens charge $50 to photograph there but I think it’s worth it! 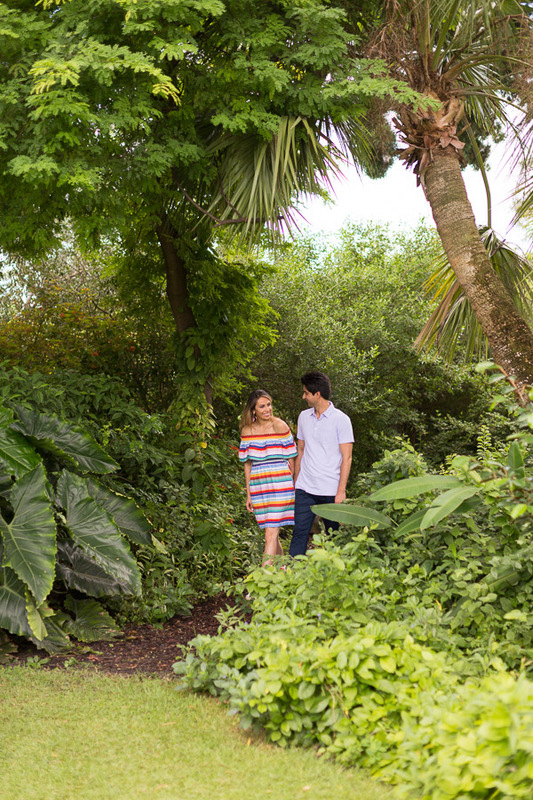 It’s a small botanical gardens however with plenty of spots to use. They’re closed on Mondays but otherwise open every day from 9am-5pm. 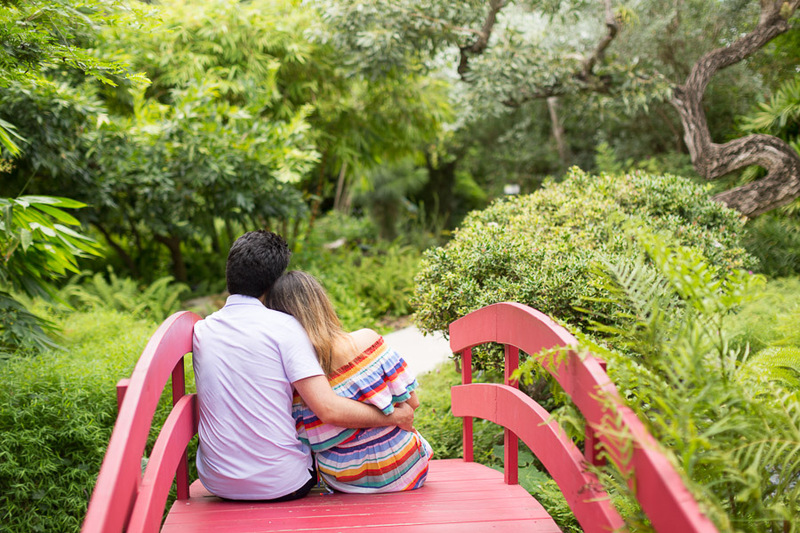 Check out all of the engagement photo shoots on the blog. 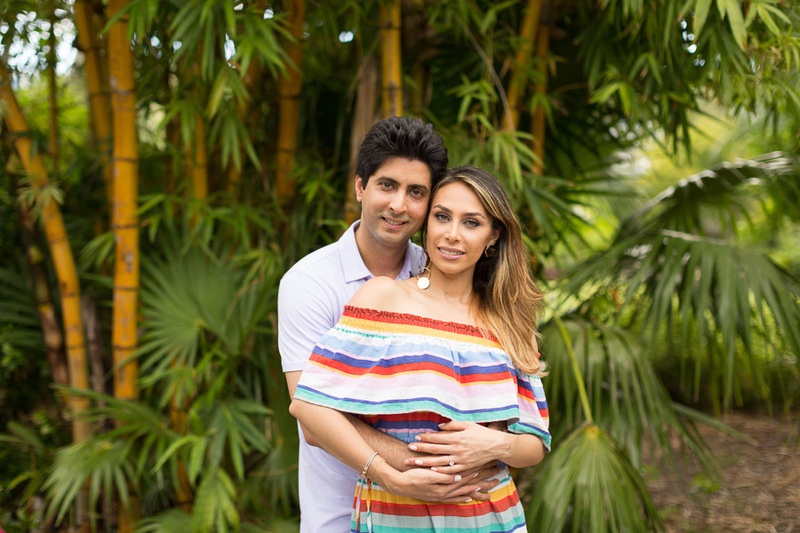 This Miami Beach Botanical Gardens Engagement Photographer session took place in South Beach in the late morning. 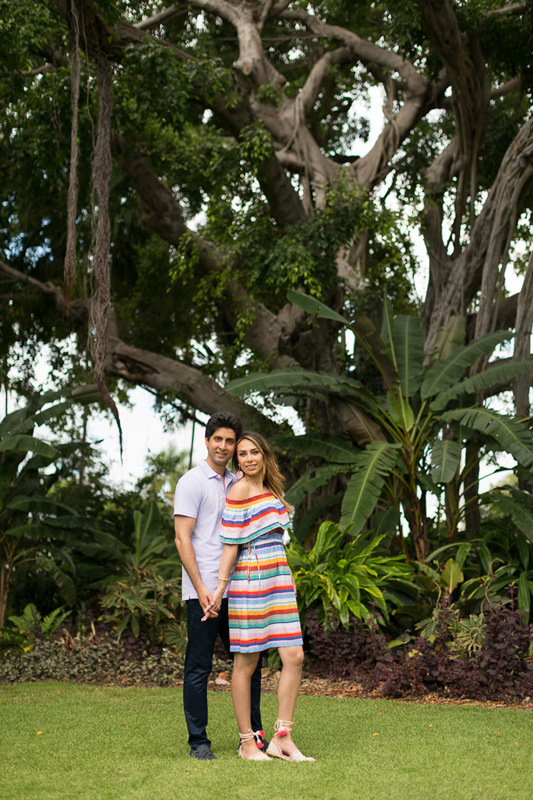 You can see other photo sessions at the Miami Beach Botanical Gardens. 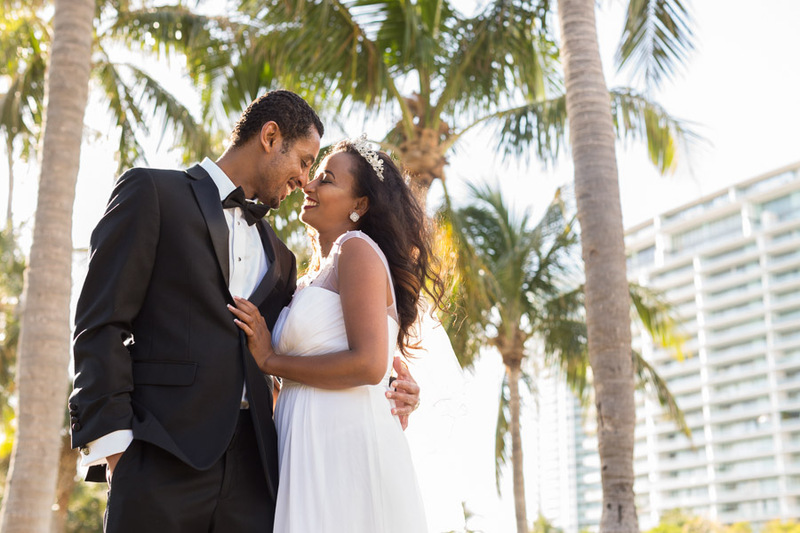 Take a look at this Pinterest board for ideas on what to wear to a couple photo shoot. 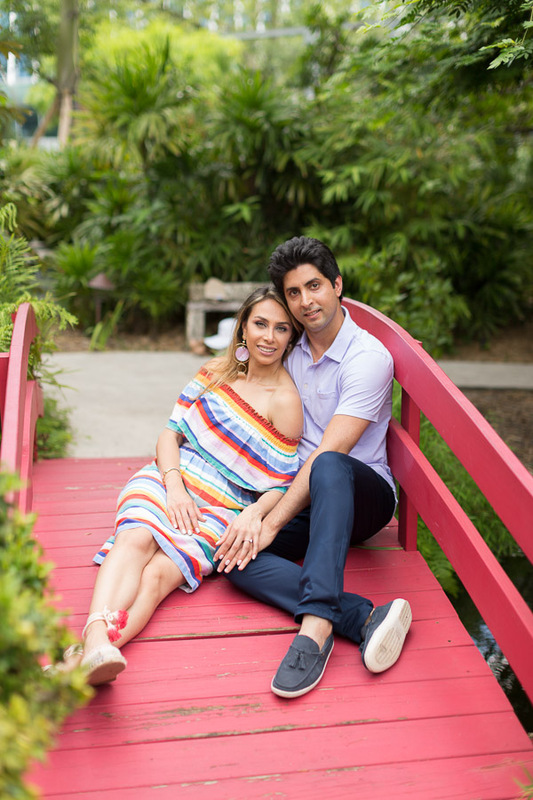 Need ideas for the best locations for an engagement photography session in Miami? 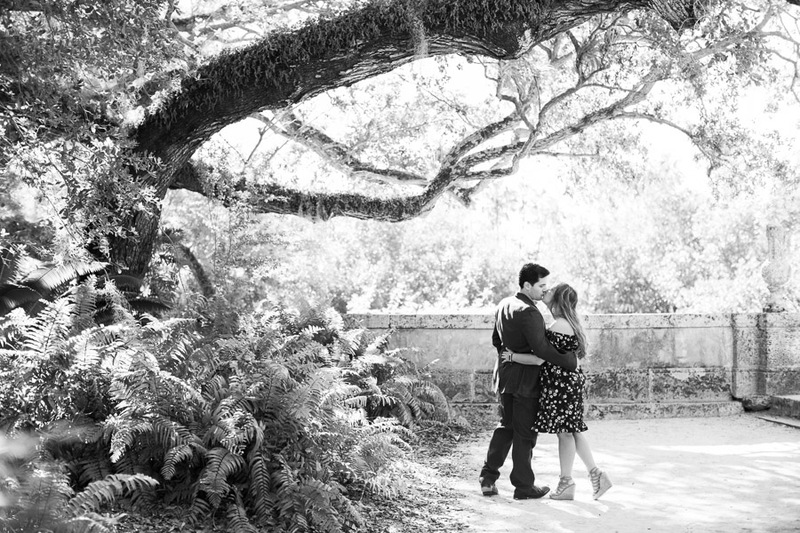 Some of my favorite locations for a photo shoot are listed on my website. 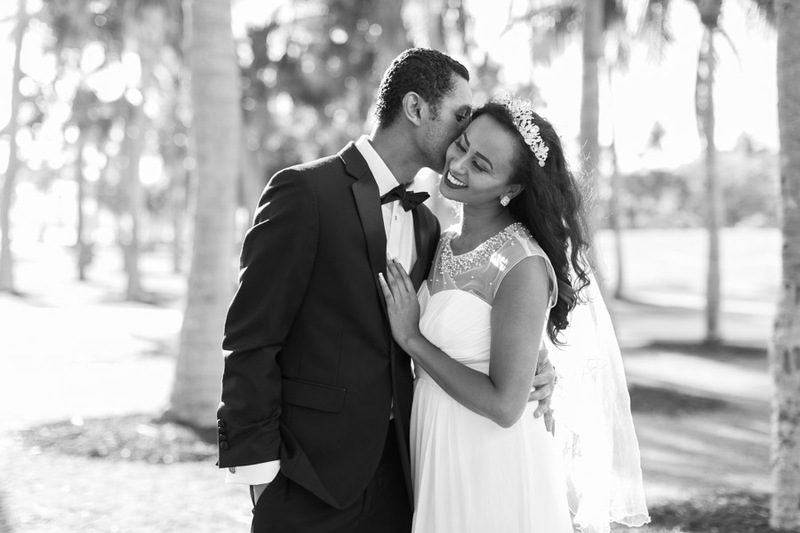 Contact me here to book a photo session or email info@tovaphotography.com. 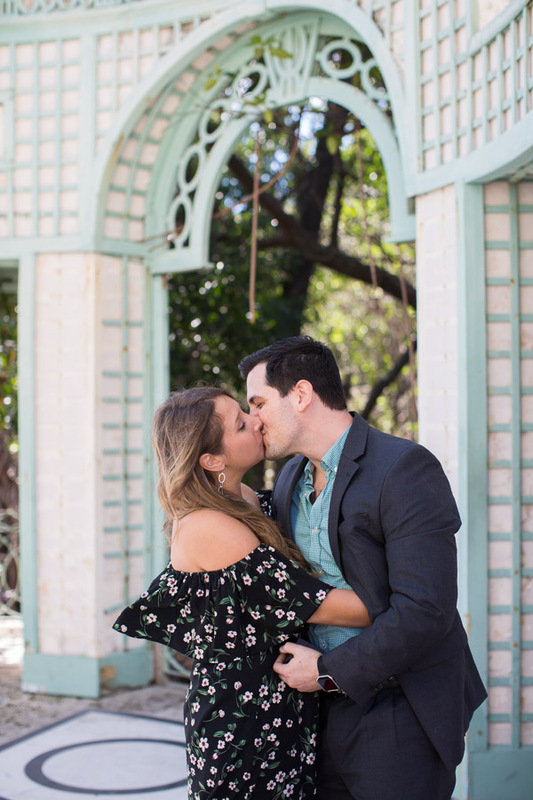 This entry was posted in Couples and tagged Couples, engagement, miami beach botanical gardens, Miami Engagement Photographer on December 5, 2018 by Tova Photography. 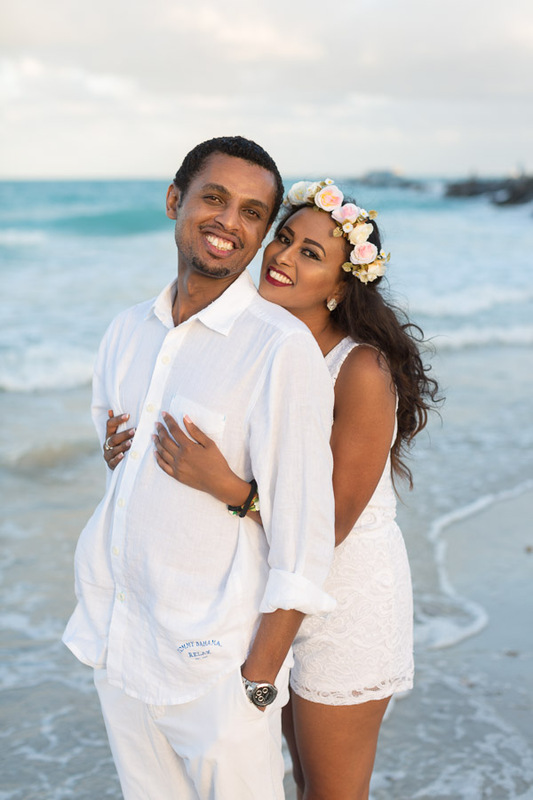 I met this lovely, handsome couple from Addis Ababa, Ethiopia for a pre-wedding photography session. 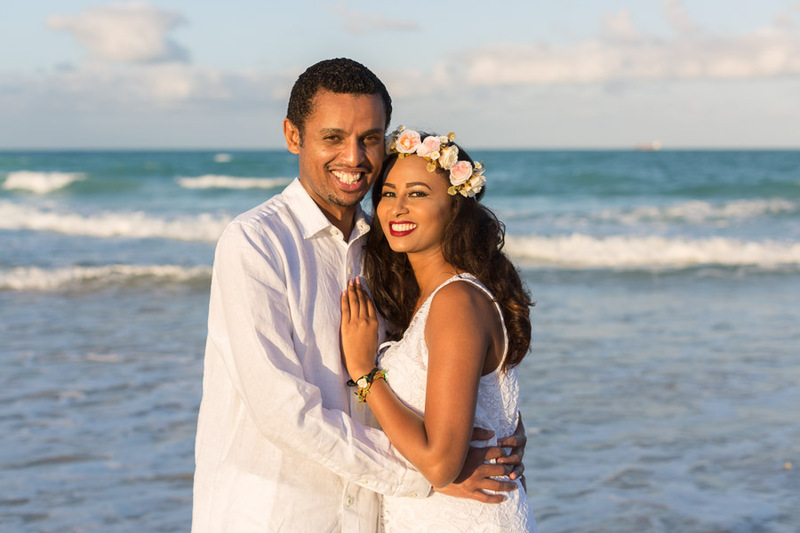 They brought along two outfits; their wedding attire which they wore in the greenery, and a more casual all-white outfit for the beach. 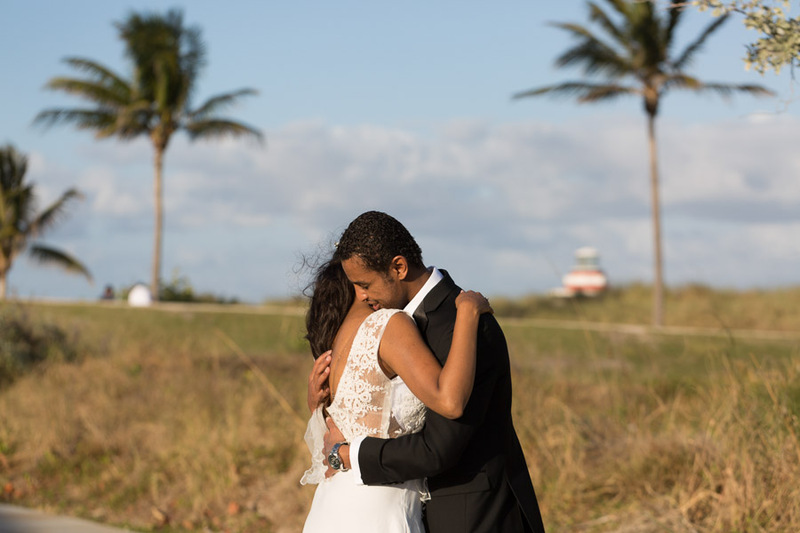 We went to South Pointe Park for an afternoon session before sunset. 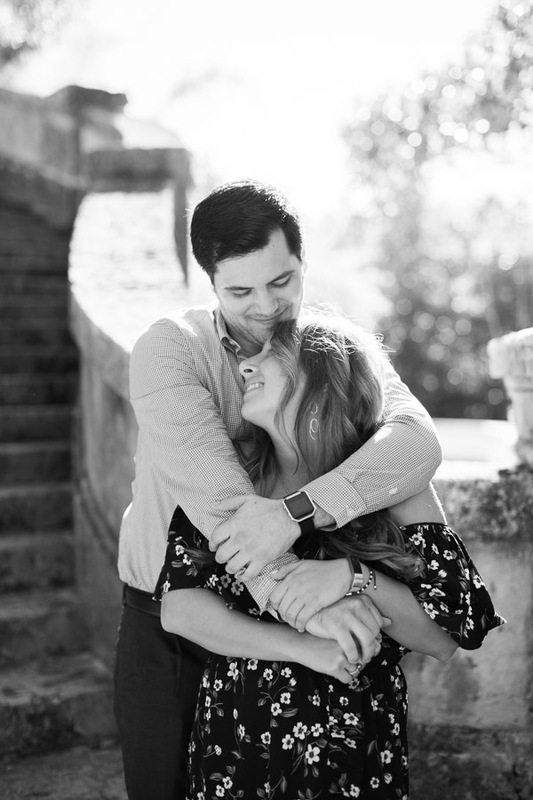 I love how they would look at each other and break out into a wide a smile; they are obviously very much in-love. 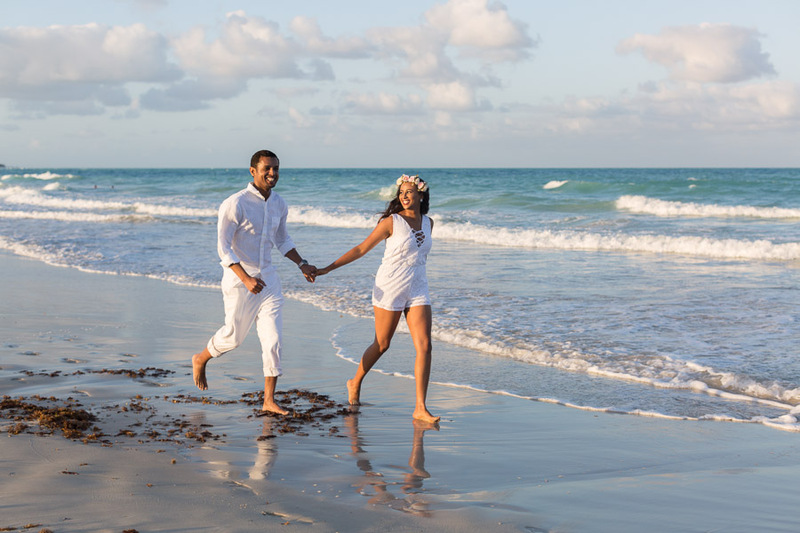 I also think it’s a great idea to bring an outfit change whether it’s a 1 or 2 hour session. 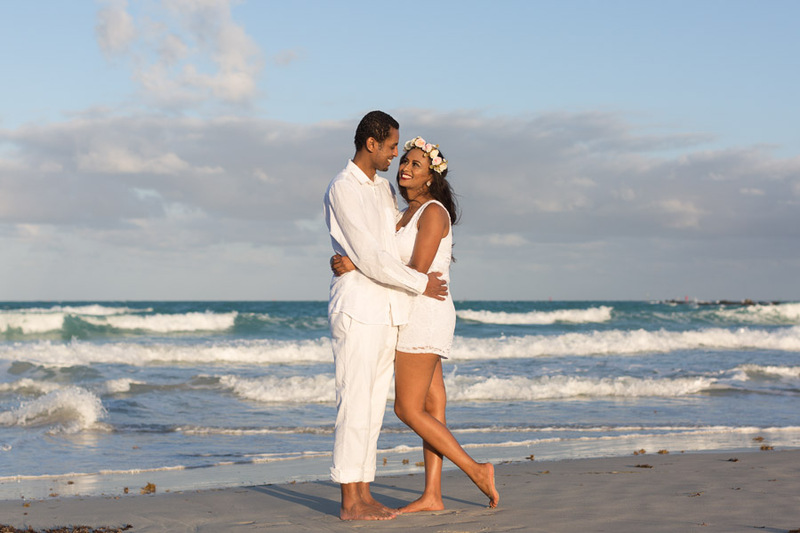 You can bring a dressier outfit for the greenery and a more casual outfit for the beach. 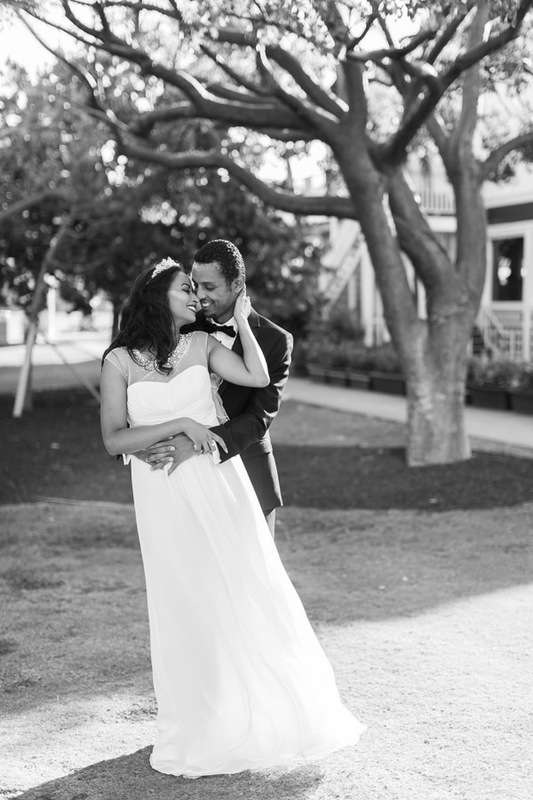 So incredibly happy for these two and grateful I was able to work with them to document this time in their lives. 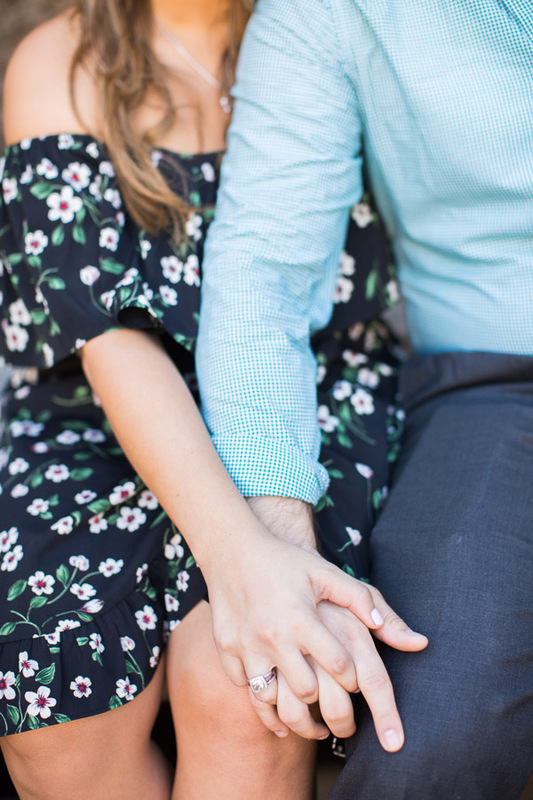 Check out this Pinterest board for ideas on what to wear for your couples or engagement photo session. 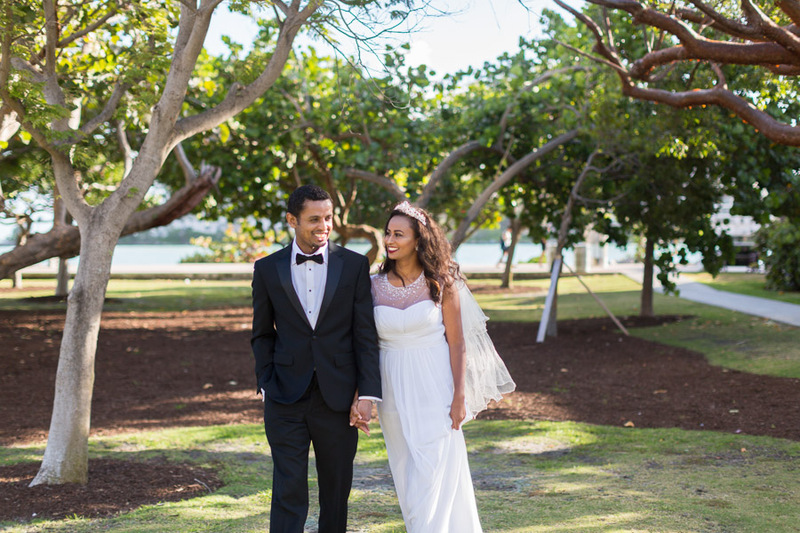 See all of the photo sessions at South Pointe Park. 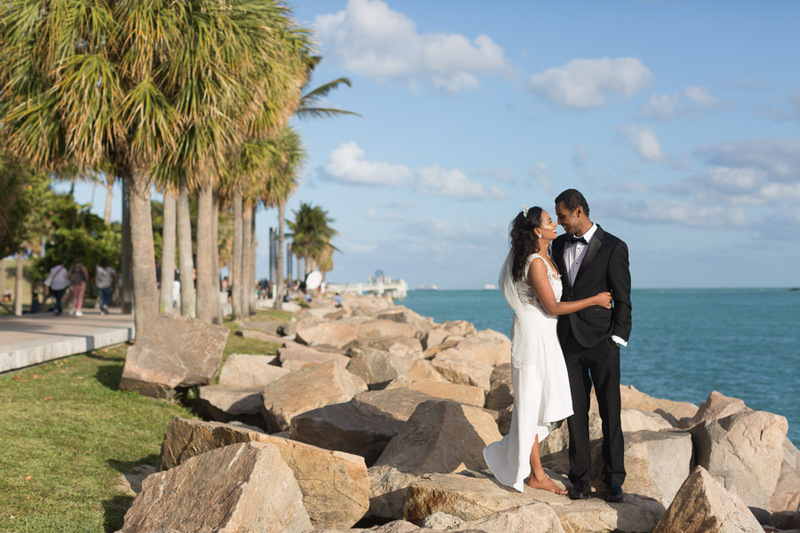 Some of the best Miami locations for a photo shoot can be seen here. 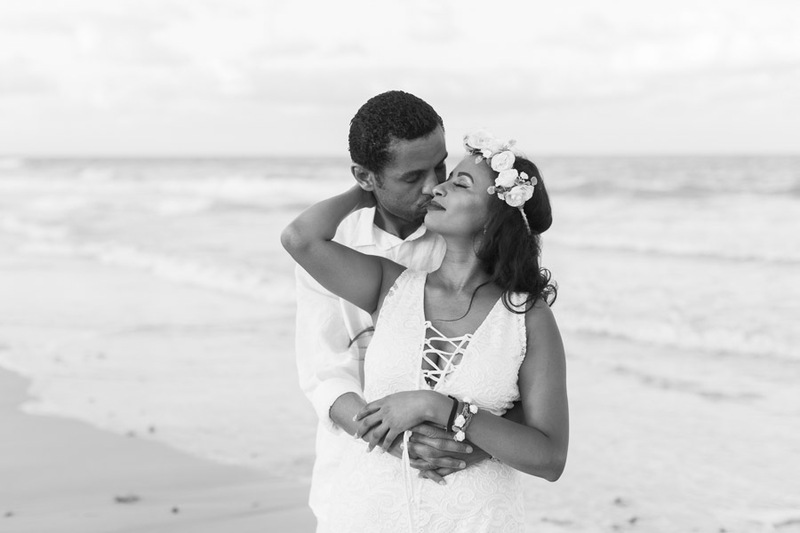 Take a look at other couple photography sessions on the blog. 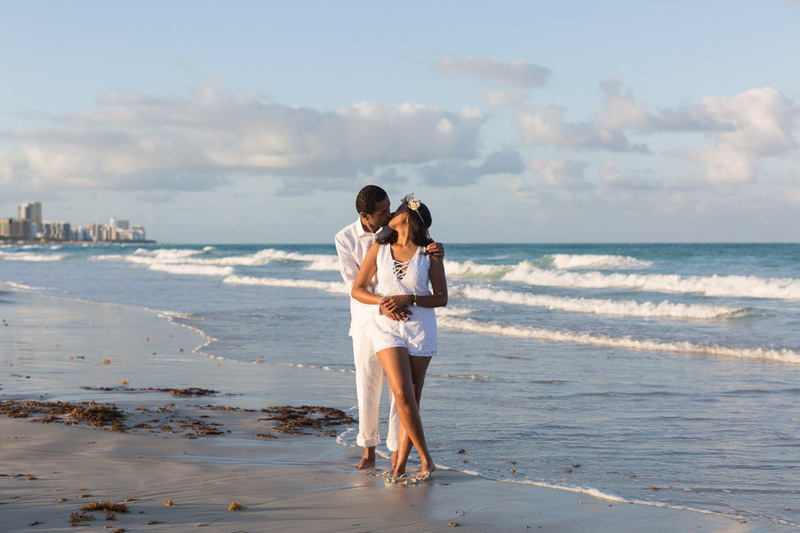 Contact me here to book a photo session or email info@tovaphotography.com. 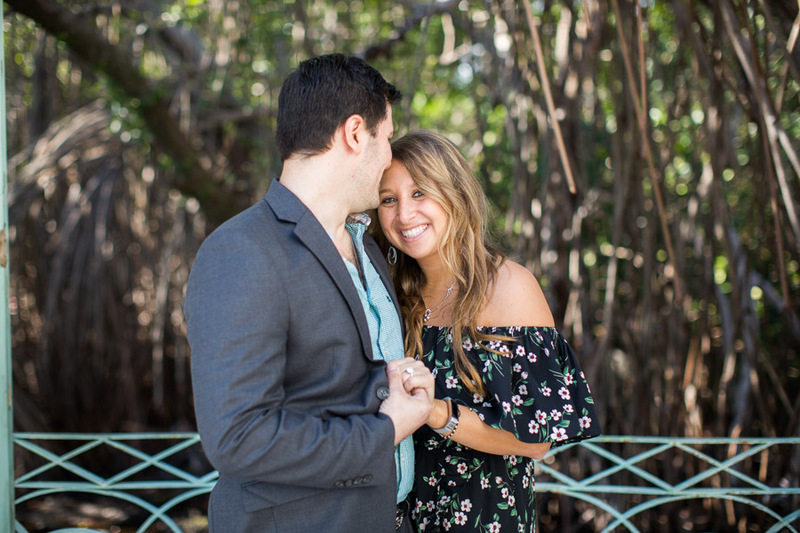 This entry was posted in Couples and tagged Couples, engagement, Miami Beach, miami couple photographer, Miami Engagement Photographer, Miami Photographer, South Pointe Park, sunset on September 27, 2018 by Tova Photography. 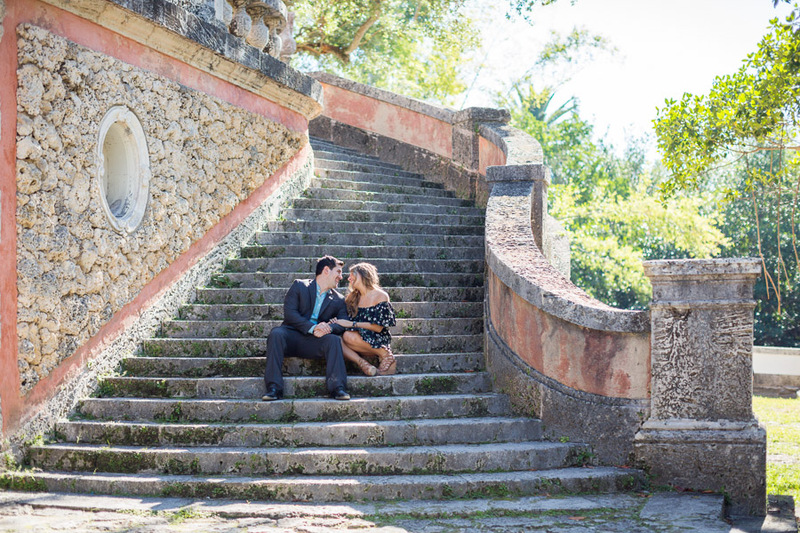 This Vizcaya Proposal and Engagement Photography session was pretty special. 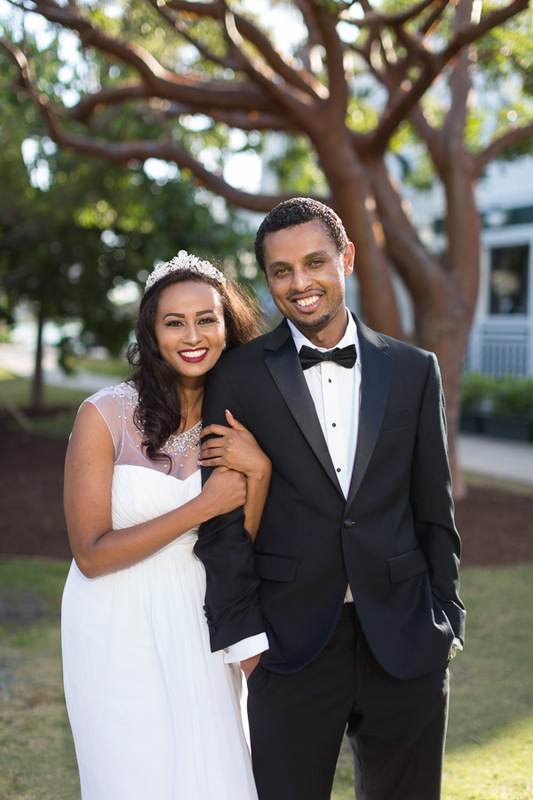 They met at medical school and became best friends since. 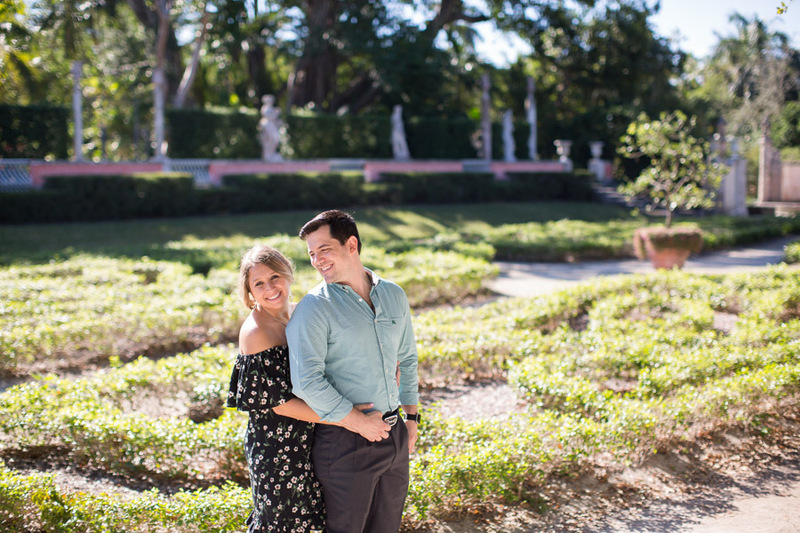 The plan: We were going to take a “just because” couple session (this was during the holidays, the day before New Year’s) at one of my favorite places to photograph, Vizcaya Museum and Gardens. 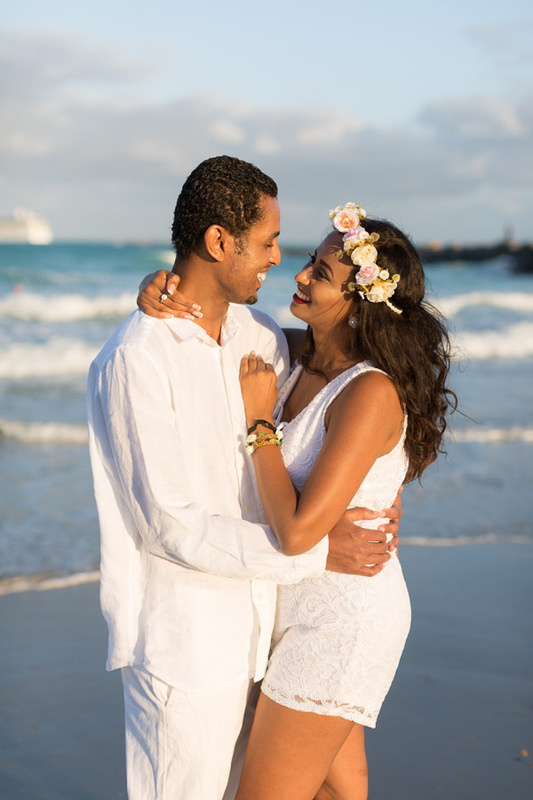 He told me he often did silly magic tricks on her at home, so he would plan another one the day of the session. 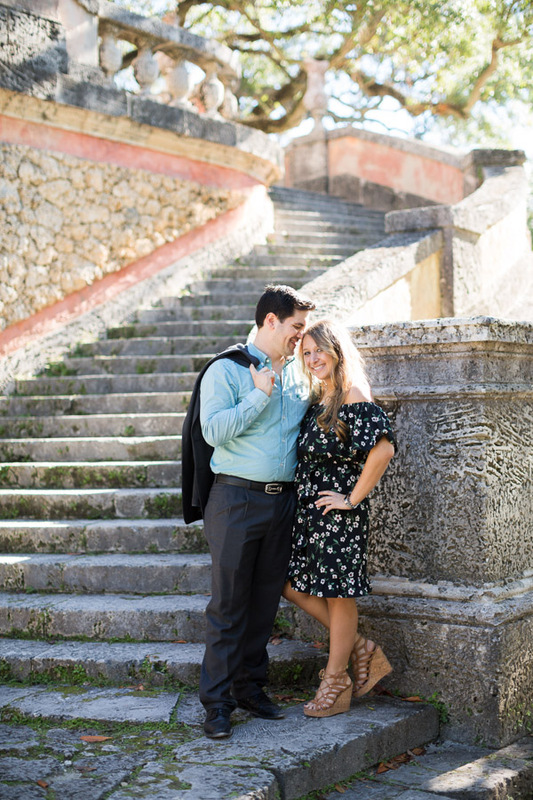 The day of the shoot: We spent our time roaming around the beautiful gardens at Vizcaya on Sunday morning. 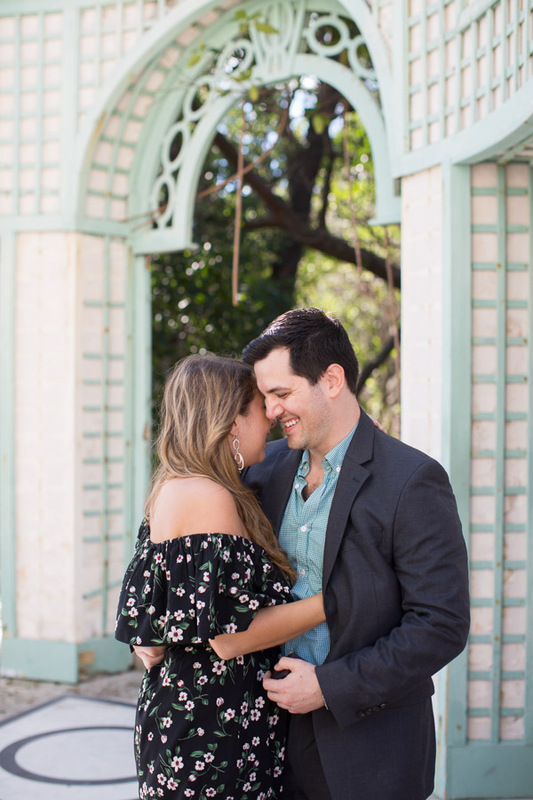 There are elegant stairwells, archways, and Italian and French 17th and 18th century styled gardens that are perfect for couple or engagement sessions. Finally, we made it to the Tea house. 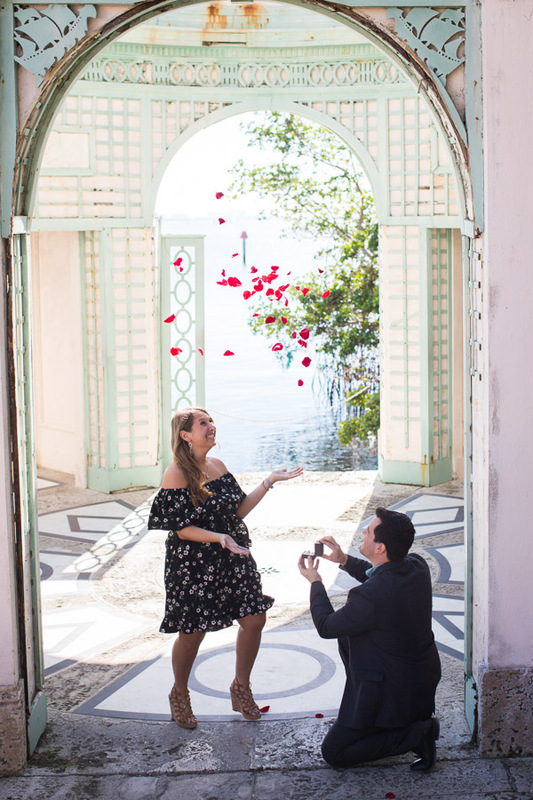 He gave her a handful of red rose petals, told her to close her eyes, and said that after she threw them in the air he would magically have them transform back into their original form. 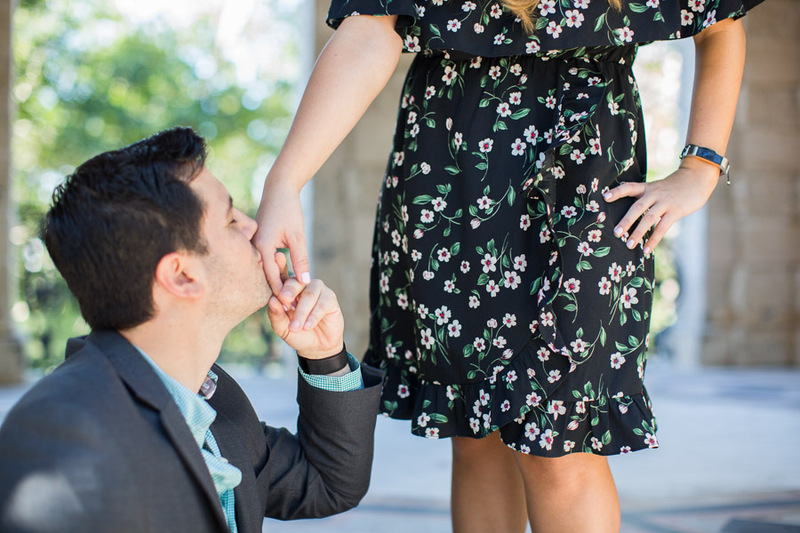 The magic appeared instead in the form of a ring. 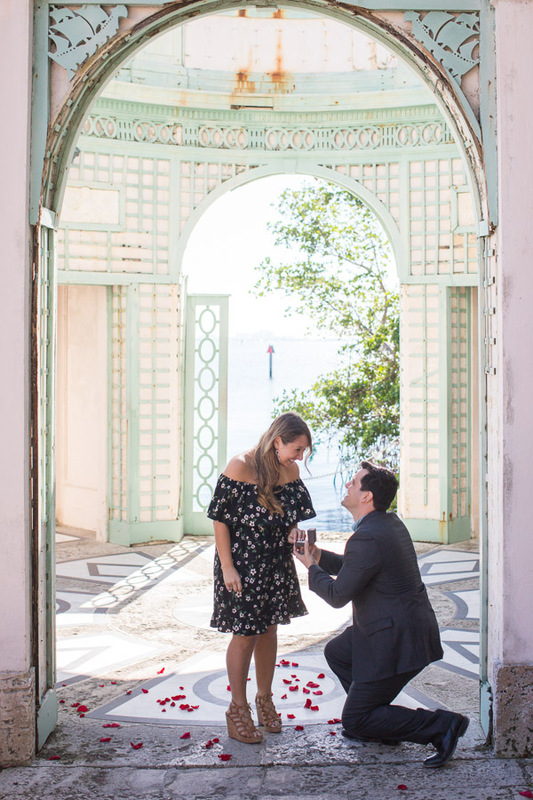 There he was on one knee, the two of them surrounded by rose petals, overcome with emotion. 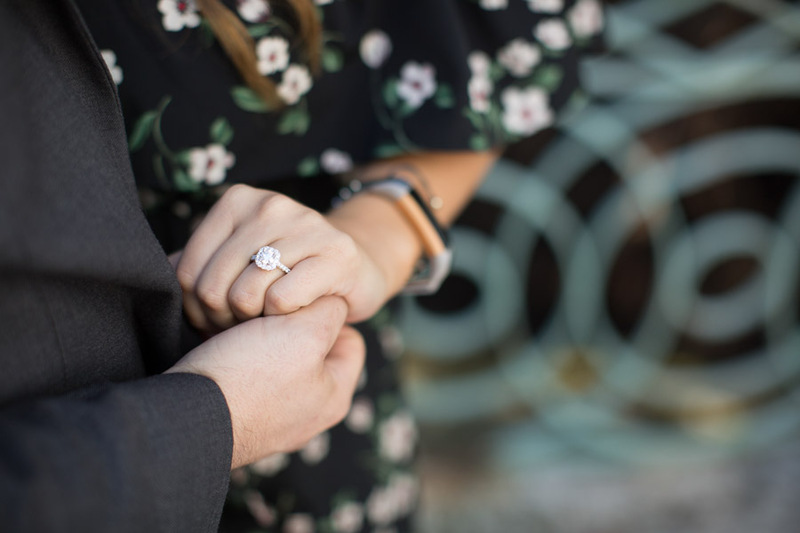 She said yes, they kissed, and reveled in giddy smiles, her hand now adorned with a diamond ring. 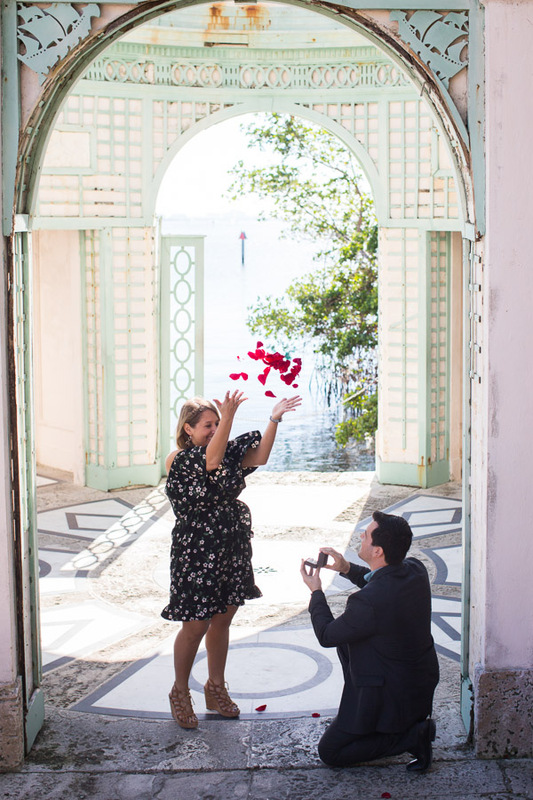 For those wanting a Vizcaya Proposal and Engagement Photography session, or a couple or family sesson, please note that Vizcaya does have a permit fee. 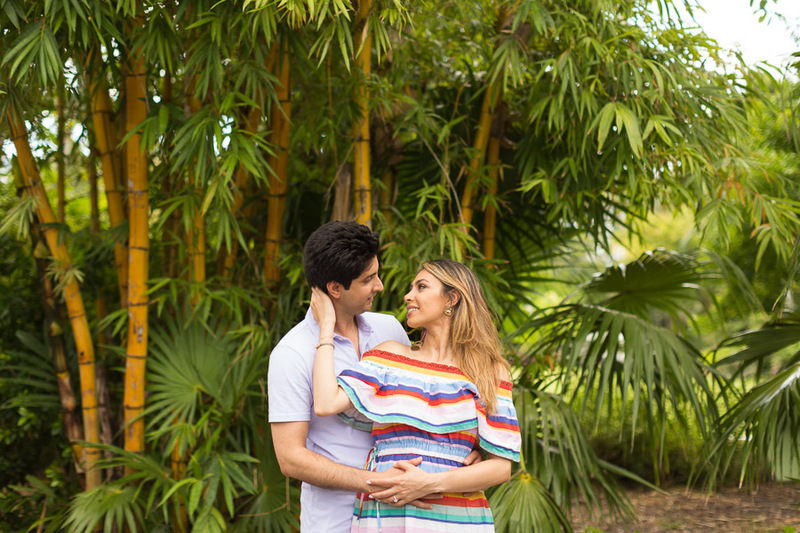 Check out other Miami proposal photography sessions on the blog. 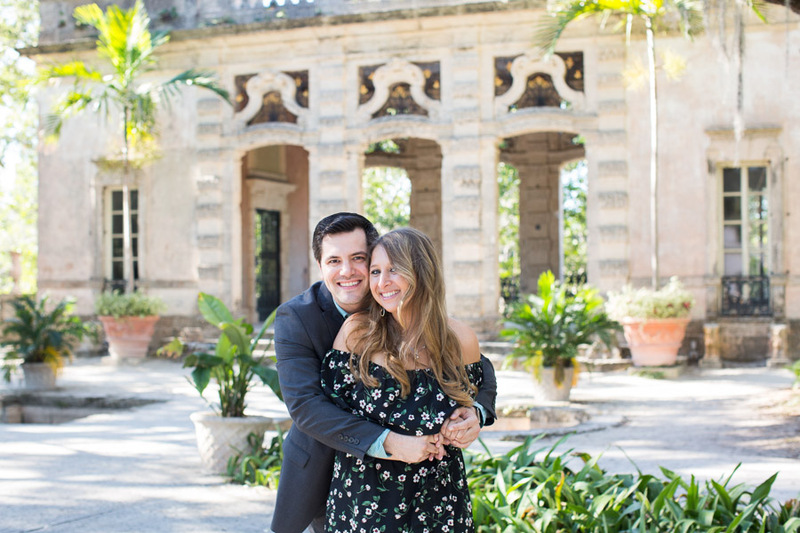 View all of the Miami couple sessions as well as all of the Vizcaya Museum and Gardens photo shoots. 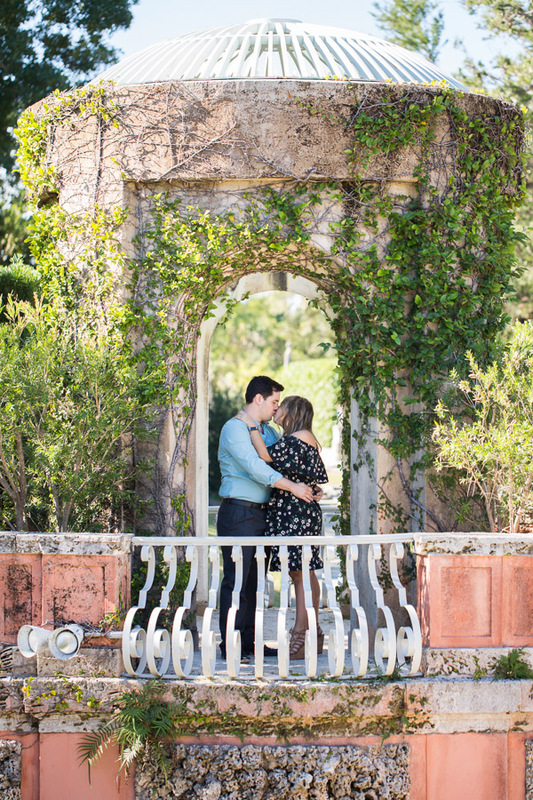 Vizcaya is also a great location for family photo sessions. 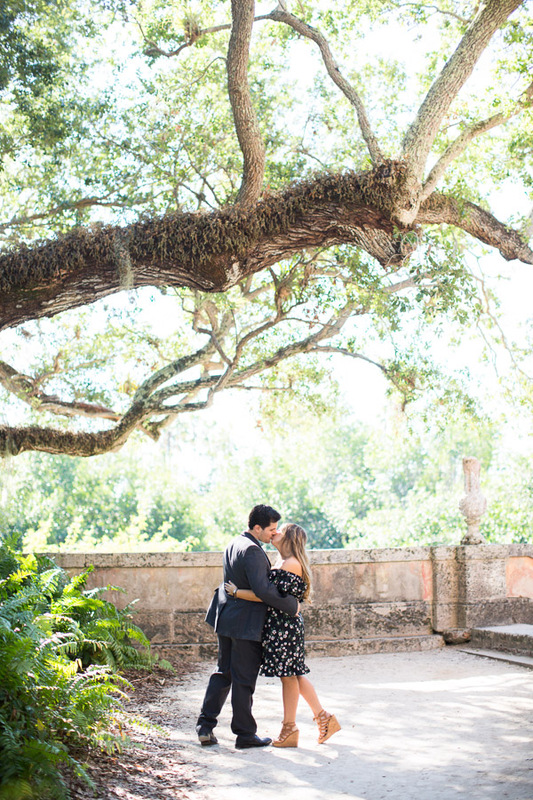 Read more about the creation of Vizcaya and its history here. 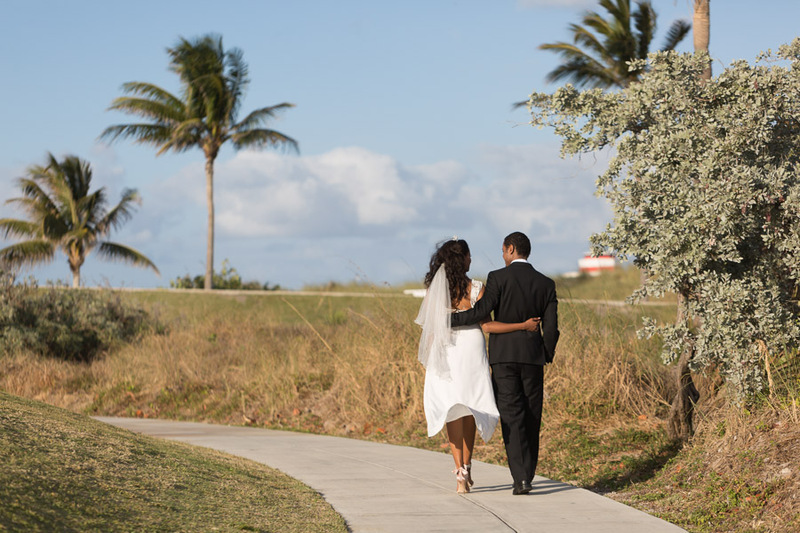 Check out other Miami photography locations that are great for a couple or family session. 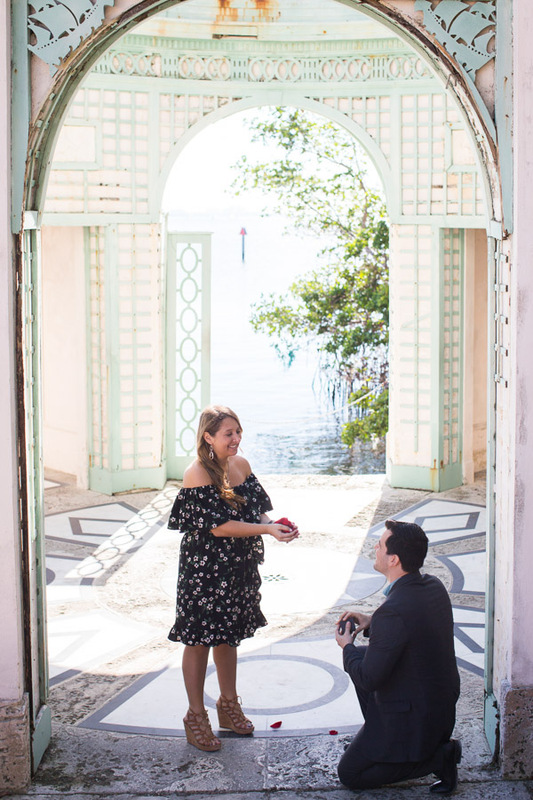 This entry was posted in Couples, Surprise Proposals and tagged Couples, engagement, Miami Engagement Photographer, miami proposal photographer, miami vizcaya photographer, proposal, surprise proposal, vizcaya on July 5, 2018 by Tova Photography.